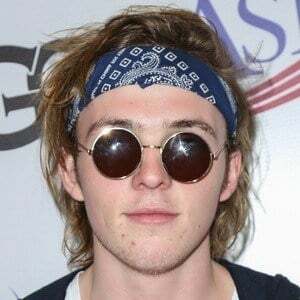 Youngest brother in the Lynch family who became known as the unofficial manager of R5, a band comprised of his siblings Riker, Rocky, Ross and Rydel as well as Ellington Ratliff. He is extremely popular on Instagram, with over 550,000 followers. He was first introduced to the music industry at 12, when his brothers and sisters formed R5. In 2015, he and his brothers played in Luc Robitaille's charity hockey game. He is the youngest of five siblings born to Stormie and Mark Lynch. He has been in a relationship with Instagram star Kelsey Calemine. He was born a year and half after his older brother Ross Lynch.